Another nice promo / intro video for a slot car club: Barburners Slot Car Club - a 1/32 scale slot car club in Williamsburg, VA.
"Barn Burners Slot Car Club is a 1/32 scale slot scar club. We currently have 2 tracks which are modeled after real circuit tracks Silverstone and Circuit de SPA. We focus on the realism of slot car racing and our goal is to always be as realistic as possible." 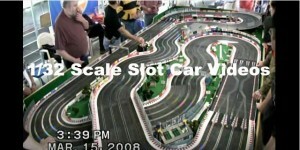 "We are a slot car club that races 1/32 scale slot cars in many different classes. We are located in Williamsburg, VA."